Home Politics The first 100 days since Brexit: Were the predictions correct? The first 100 days since Brexit: Were the predictions correct? Were predictions made before the vote met? TODAY marks 100 days since Britain voted to leave the EU. And with Brexit dominating newspaper column inches and bar room banter, three months have slipped by in the blink of an eye. As for its consequences, the UK, Gibraltar, the EU and expats scattered across the continent are still none the wiser. The initial shock and knee-jerk panic expats awoke to on June 24 may have subsided. But the hangover from the referendum lingers on, with no prospect of a cure any time soon. Expats along the Costa del Sol wake up with sore heads after a night of San Juan celebrations. But their thumping headaches are nothing compared to the sucker punch news that the UK has voted for Brexit. 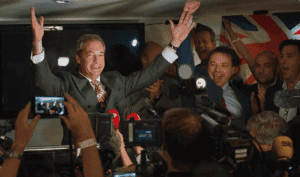 With 51.9% of voters opting to wave goodbye to the EU, Prime Minister David Cameron declares his intention to step down before October, and Nigel Farage chortles that June 23 is ‘Britain’s Independence Day’. Gibraltarians are just as gutted as British expats, with nearly 96% of voters supporting Remain. Spain’s Foreign Minister Jose Garcia Margallo, wastes no time in kicking Gibraltar while it’s down, claiming the ‘Spanish flag on the Rock is much closer’ after Brexit. In Scotland, Nicola Sturgeon vows to hold a second independence referendum, while Ireland begins talks on unifying the North and the Republic. Meanwhile, things are no better in the Labour camp, as leader Jeremy Corbyn comes under heavy fire from within, with a vote of no confidence scheduled. Race-hate crimes rise by 42% since Brexit, with 289 incidents reported on June 25 alone. A Polish community centre is vandalised in London while, in Cambridgeshire, Polish residents receive letterbox leaflets labelling them ‘vermin’ and telling them to ‘go home’. 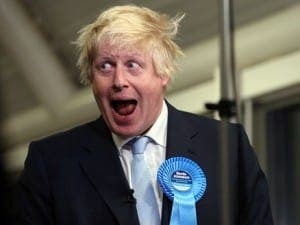 Fervent Leave Campaigner Boris Johnson pulls out of the race to become Britain’s next Prime Minister, leaving Theresa May and Andrea Leadsom as front runners. Michael Gove and Stephen Crabb throw their names into the ring but never look like mounting a real challenge. Nigel Farage announces his resignation as UKIP leader again, after ‘achieving political ambition’ with Brexit. The MEP insists that this time it’s for good but floats a role negotiating Britain’s exit from the EU, saying he ‘might have something to give’. 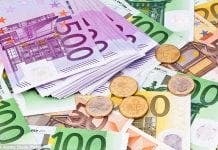 The volatile financial markets hit rock bottom as the pound slumps to a 31-year low of $1.2796, a 15% plunge in 13 days. Investors lose confidence in Britain’s future outside the European Union and pile out of the UK currency. A fortnight after Brexit, an Independent newspaper poll reveals that 1.2 million Brexiteers would change their vote to Remain, given the chance. Over at Bilbao’s BBK festival, Scottish Chvrches singer Lauren Mayberry apologises to the Spanish crowd for the ‘a***holes behind Brexit’. Theresa May is declared Prime Minister, with David Cameron stepping aside earlier than announced. 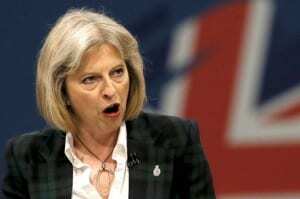 May wastes no time forming a cabinet, controversially selecting Boris Johnson for Foreign Secretary despite prior faux pas (calling ‘Bongo, Bongo land and suggesting US President Barack Obama had an ancestral dislike of Britain due to his Kenyan heritage). New ‘Brexit-related’ cabinet positions are created, with Leave campaigner and frequent Gibraltar visitor Liam Fox becoming Secretary of State for International Trade. The Rock’s Chief Minister, Fabian Picardo, continues to work around the clock, jetting to London to meet the new PM and parlay the pros and cons of a Gibraltar-Scotland coalition with Nicola Sturgeon. Theresa May tells the UK High Court that she will not trigger the infamous article 50 before the end of the year. She firmly reminds judges considering a legal challenge over the referendum that ‘Brexit means Brexit’. ition requests. 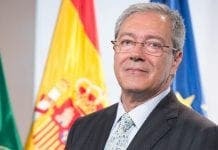 Esteemed journalist Giles Tremlett leads the charge for joint nationality as the OP publishes its first-ever Spanish front page, urging locals to support British expats’ campaigns for dual nationality. The Irish immigration office is inundated by a 70% spike in passport applications since Brexit, as panicked Brits try to hang on to their EU status. Catalan Independence campaigners report a surge in support, with a record 48% of Catalonians wanting independence from Spain since Brexit, according to an El Pais survey. MPs clash over a four million-signature petition to scrap the Brexit vote and hold a new referendum. Furious Brexiteers claim the petition is anti-democratic and the government shoots it down, declaring the referendum a ‘once-in-a-generation vote’. 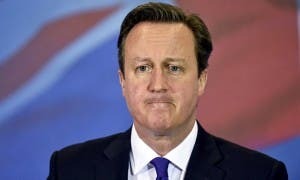 Ex-PM David Cameron throws in the political towel after 15 years as an MP, stating he does not want to be a distraction to his successor while she negotiates Brexit. EU leaders meet without Britain for the first time to discuss how to keep the alliance together and avoid further defections. Germany’s Angela Merkel insists the EU is in a ‘critical situation’. The coming weeks are likely to see some interesting horse trading as the UK and the EU battle to come out on top. While the Union lays out its farewell plan for Britain, the UK will continue to negotiate trade deals with the likes of Australia and China while attempting to put pre-Brexit contingency plans in place. In reality, days 200-300 are more likely to see concrete plans set in motion. This title needs amending to “The first 100 days since the referendum”. 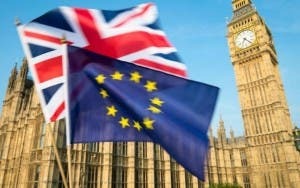 Brexit has not yet occured and it could be 2019 until it finally does. Until that time we remain members of the EU. It is irrelevant to talk about the first 100 days since the referendum result because the UK is still a full member of the EU, you really need to focus on the first 100 days after Article 50 has been triggered. Cameron indicated that he would trigger A50 immediately after the referendum and all the predictions were based on that but it was all guess work because there is no precedent for leaving the EU and of course Cameron didn’t pull the trigger. Once A50 has been triggered and we are locked into a tight 2 year negotiation period with no guarantee of an extension, the markets and employers will get very jittery particularly if we don’t finalise the trade deals in time and have to revert to WTO tariffs. 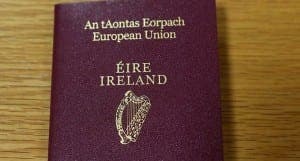 It is looking increasingly like hard Brexit so my advice to anyone thinking of relocating is to get your ducks in a row, explore your options (Irish passport?) before the UK pulls up the drawbridge in mid-2019 and says ‘adios’ .